There has never been a more important time to talk with others about farming. 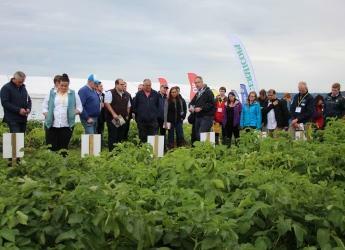 Farmers and researchers need to share best practice, show techniques, explain production, reveal trade-offs faced and demonstrate where farming creates and sustains environmental good. But speaking out can be daunting. Need some tips and techniques? LEAF is running a nationwide tour of workshops – Speak Out Roadshow 2019 - to inspire and upskill farmers and researchers to share their part of farming’s story. Learn skills needed to communicate in person via farm visits, through presentations and talks, on paper, online, in the media- broadcast and podcast - through photos and film and social media. Instructors will show how to engage an audience, the best ways to host and participate in inspiring demonstration events, techniques to put points across positively and proactively in industry conversations as well as means to spread stories further. Every session in the Speak Out Roadshow 2019 will be interactive and challenging encouraging participants to think proactively about what differences they want to make to the farming industry and public understanding and equip them with the skills they need to achieve their aims. Join the Speak Out momentum in 2019. Cost: £30 for LEAF members, £80 for non-members. Visit this website to book your place at the Dundee workshop, which will take place at the James Hutton Institute on 2nd May, 10am to 4pm.